"I Need to Be Connected To This Person"
For years I was asked to chase connections between a prospective client and a notable American-Indian. Chiefs, princesses, and princes were all game. 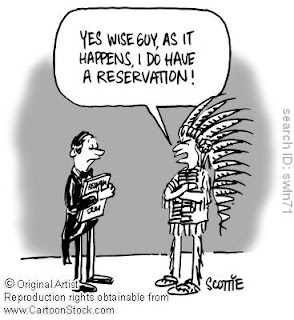 Oh yeah, this includes all the clients insisting they were related to Crazy Horse or Geronimo. I realize that some of these stories were passed down from ancestors gone by. But, lately “Great-Grandpa the American Indian Chief” stories have become scarce. They have been replaced by the search for Royalty, Monarchy, or at minimum a castle-resident ancestor. It’s rare that these tall-tales were actually true, but how elated I am as a researcher when I actually find the connection, in this case, to Irish Monarchy. It wasn’t a bloody “mad” wild goose chase after all. The best part of doing Monarch lineage genealogy is that it is usually better documented than the non-royal family lines. The worst part is having to tell a client that such a conclusion has not been proven, or the connection has not been made. But recently, after hours of research, I actually did research for a descendant of the Niall Noígiallach (or Niall of the Nine Hostages) Monarch of Ireland. With the help of the Office of the Chief Herald at the National Library of Ireland in Dublin, I was able to match history with genealogy. For more information on the Office of the Chief Herald: http://www.nli.ie/en/heraldry-introduction.aspx. Niall Noígiallach (Niall Naígiallach, Niall Naoighiallach) supposedly one of the last pagan monarchs, reigned around 379AD and is the ancestor of the Daly, O’Dalaigh, O’Neils of Tyrome, and O’Donells of Tryconnel among others. From this High King, who had as many as fifteen sons, there were several kings of Meath, Ireland, Thomond and Connaught. Following name spelling changes, wars, dynasty splits, and movements, and ending with the migration to America as early as 1665, the connection was made. Of course we must allow for a margin of error, as the history of Ireland is based on an oral one that was documented thousands of years after its occurrence. But, based on the annalists’ historical documents these families, including my client, is of Royalty! How does your client feel about being from Royalty? As she is an elderly woman, it meant a lot to her to 1st: win a bet with her husband of 52 years and 2nd to have the actual "certification of authenticity." She needed to prove the family story that she wanted so badly to believe in. Her husband always called it "hogwash." haha! Good for her and good for you! Congratulations! Great Job Kathleen Brandt. I love Royal lines all so clean cut yes or no related to them. It’s actually a nice and useful piece of information. I am glad that you simply shared this useful information with us. Please keep us informed like this. Thanks for sharing.